#TeamKonQuest returns yet again with another dose of dopeness as the top tier wordsmith, VerseBorn, drops dynamite with his latest hit single, "Big Dreams". Our dreams and ambitions help to provide drive and motivation. Without dreams would have no sense of innovation nor the drive necessary to push for change or reform. In essence, our dreams are part of the vital forces keeping many of us alive and breathing. 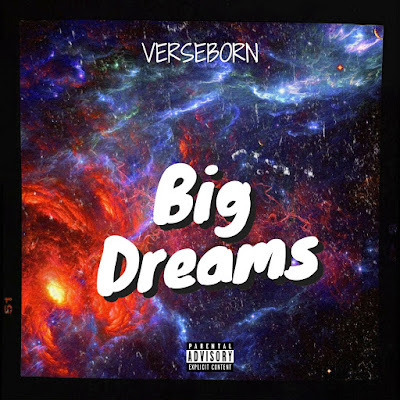 Produced by VerseBorn himself, "Big Dreams" helps to serve as an inspirational reminder that dreams and goals, no matter how large or extravagant, are worthy of striving for at all costs. Click [Here] To Stream "Big Dreams" via Soundcloud!